Is your boyfriend always on his phone, smiling or blushing? Does your boyfriend have a lock on his phone that he never seems to share with you? Then we think it’s time for you test the waters in your relationship and figure out the reason why. WhatsApp Messenger is a well known mobile messaging app, which allows users, to exchanges text messages and other media files without paying for any SMS fee. This app also allows users to make voice as well as video calls. WhatsApp Messenger can be operated on all Android, Window and iOS devices. This apps world on internet data, and does not involve any external cost. In addition to this users can also create groups, send voice notes, videos, documents and other files through this app. This free messaging has literally increased the ratio of cheaters in the world. Now that these cheaters don’t have to spend a penny while texting, they sent a cheesy text to multiple girls at a time. Sometimes I feel like the broadcast feature on this app was made to help these losers. How to Hack a WhatsApp Account? 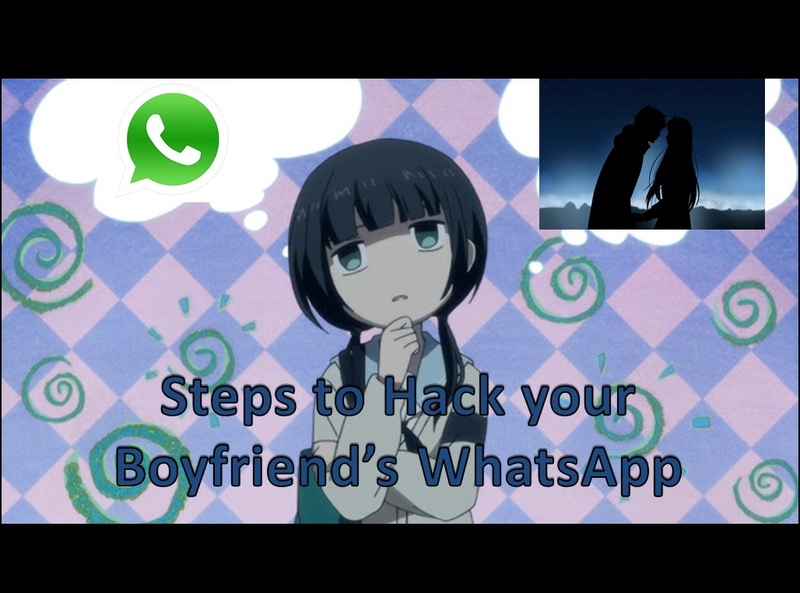 There are multiple apps online, which can help you in hacking into other people’s WhatsApp accounts be it your husband, boyfriend or crush. 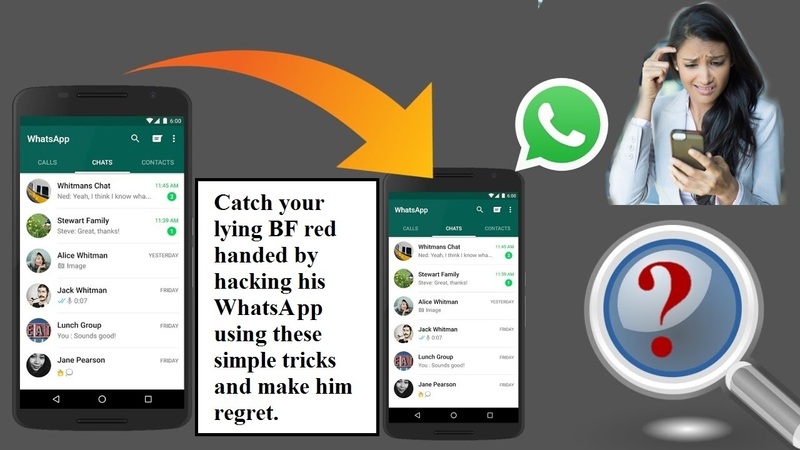 Now you can check your partner’s loyalty, within seconds using a free WhatsApp hacking tool from Google. You can hack anyone’s account without leaving any evidence. You can operate most of these hacking tricks through your Android as well as your desktop. First make sure to divert your partner’s or boyfriend’s attention, and slowly grab their phone. You can also try to take their phone when they are sleeping or using the washing. If your boyfriend’s phone has fingerprint lock, then we would advise you to try to take his phone, when he is sleeping, as you will also be able to unlock his phone by using his fingers, when he is unconscious. Note: If you want to check your partner’s WhatsApp history, then you can download a spy app on your target’s phone, for monitoring their each and every step on WhatsApp. Usually, these spy apps are expensive, so make sure to use it to its full potential. If your boyfriend has cheated on you in the past, it’s likely that he will cheat on you again. So, why trust him blindly again. Run down a test on your lover, and let you investigation report be his loyalty certificate. Step 1: Somehow grab your boyfriend phone and install a spy app on it. Step 2: Now connect the app with your phone, so that you are able to track his WhatsApp usage. This process only involves two steps, and it might seem easy, but it can be very difficult. Note that you don’t want to get caught as this hacking idea can backfire on you and your relationship. You can never be too sure about relationships, especially if you are dating a man. So, go ahead and get a validation, your man’s loyalty. Remember it’s always better to be sure than sorry.